I bless you, in the name of the Father, the Son, and the Sacred Spirit, the One and the Three. May God give you to drink of his cup, the sun shine bright upon you, may the night call down peace and when you come into his household may the door be wide for you to go in to your joy. from A Celtic Eucharist A Celtic Eucharist presents a unique contemporary Eucharist that remains similar to the liturgy celebrated in a Celi De community in the early ninth century. 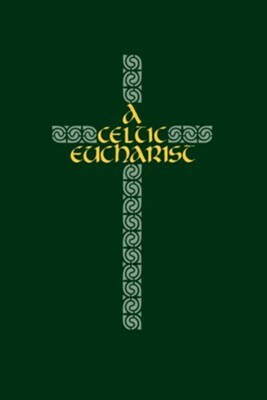 Following the classic shape of the EucharistEntrance, The Ministry of the Word, The Peace, The Offertory, The Holy Communion, and the Dismissalthis compilation draws together texts from Scripture, mainstream Irish, Scottish, and Welsh traditions, and contemporary Celtic spirituality to create a remarkably original service that encourages fresh appreciation of the Eucharist. An optional Ceremony of Light is included for evening celebrations, a selection of alternative prayers and sentences allows for seasonal and pastoral variation, and helpful notes for the celebrant suggest possible uses for this service. Easily adaptable to formal or informal settings, A Celtic Eucharist can be used in conjunction with modern lectionary cycles. I'm the author/artist and I want to review A Celtic Eucharist - eBook.